Brief Synopsis – Biopic of Rock legend Freddie Mercury and how he changed the face of music with his band and his life. My Take on it – This is a film that I had very little expectations for since despite being familiar with the music of Queen and Freddie Mercury, I didn’t expect the story to be as inspiring as it is. They find a way to make this film more and more intense as the story moves along and gives the viewer so much to enjoy and still constantly want more from it. This film is able to give some an amazing biopic of someone who is bombastic and loud on the outside yet lonely and sad on the inside because he constantly wants more than he has in life despite the fact that he only wants to make music. Rami Malek is superb in the lead role and really manages to transform himself into this role. He does such a wonderful job as a Mercury doppelganger and was quite deserving of his Golden Globe for this role. He has tough competition from Christian Bale at the Oscars and I’m still unsure which of them is more deserving. 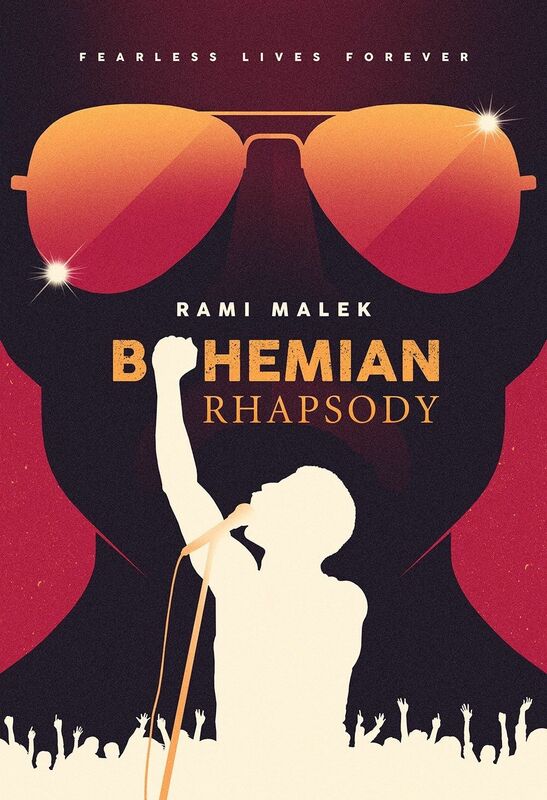 This film does a great job recreating the music of Queen in such a way that the intensity of it all gets deeper and deeper along the way. The way that they show how the band’s popularity grew over the years is done really well and makes this film so enjoyable to watch. This may not be a perfect film but it gets so much right that it doesn’t matter because they are able to give the viewer the feeling of being right there with the band the whole time as they climb to the top. It also doesn’t matter if one already knows what eventually happens because it doesn’t diminish things at all. This is definitely one of the best films of 2018 even if it probably isn’t THE best and it will probably make my top 10 films of the year. Bottom Line – Great biopic that gets more and more intense as things move along. They give us an amazing portrayal of the bombastic yet lonely life of a musician who just wants to make music. Malek is amazing in the lead role and does things so perfectly throughout. The way that they recreate the music of Queen along with the way that we get to see how the band’s popularity grew over the years is so enjoyable to watch. This is not a perfect movie but it comes quite close because of the feelings that it is able to create while watching this story unfold even if one knows what eventually happens. Definitely one of the best films of 2018 even if it isn’t the best. Highly Recommended!